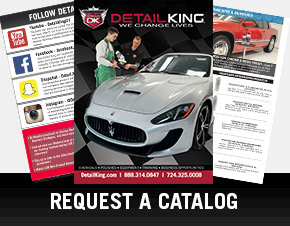 Detail King has commercial grade car washing brushes for cleaning wheel wells, wheels, tires, lug nuts, engine compartments, moldings, paint and convertible tops. 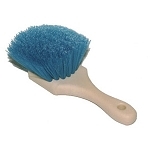 Our car wash brushes are of the highest quality and will out last most other brushes on the market. 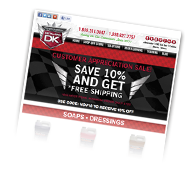 Be sure to rinse out your brushes when you have completed your detail. 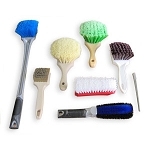 Also, check out our value priced professional brush kits, these kits have an assortment of our more popular car washing brushes. 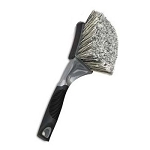 With this value kit you receive all 3 high quality premium drill brushes at a discounted kit price. 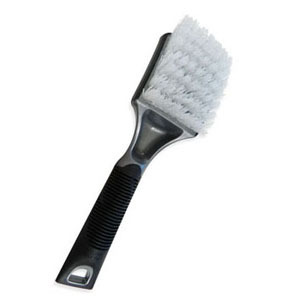 The Professional Soft Grip Ultra Soft Grill & Car Body Brush is a premium scrubbing brush made for professional use when washing and prepping a vehicle. 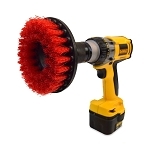 The Professional Soft Grip Auto Wheel Brush is a premium automotive prepping brush made for removing grime from the vehicle's wheels during the wash and prep stage. 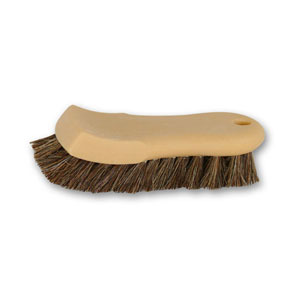 Our Professional Soft Grip Brass Whitewall Brush has stiff brass bristles which will quickly and effectively remove dirt, grime, and curb scuff marks from white wall and white lettered tires. 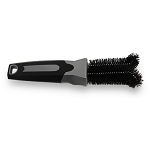 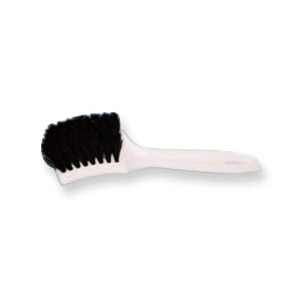 This brush features a soft grip handle, ergonomically designed for comfort while working. 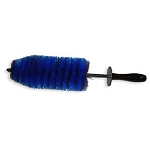 This Auto Carpet Brush has a smaller, compact base with stiff nylon bristles ideal to clean grooved step entry plates, pedals and even tough stains on carpets, mats and interior door panels. 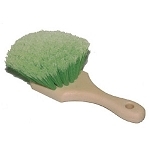 Nylon bristles are staple-set in a solid plastic block. 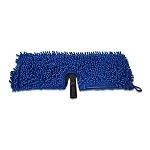 This Convertible Top & Leather Brush is a manufacturer recommended to safely clean leather upholstery, fabric and convertible tops. 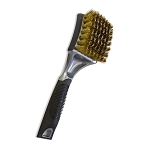 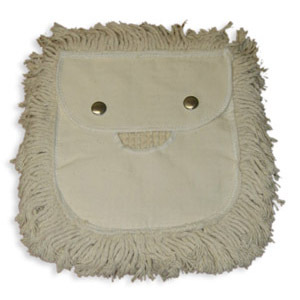 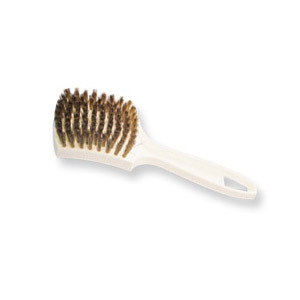 This natural horse hair brush is nonabrasive, naturally soft, durable and exclusively designed to gently remove exterior debris from fabric convertible topping. 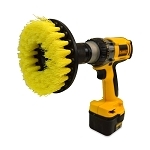 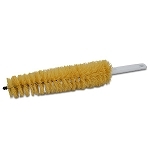 Detail King offers this Flexible Wheel Brush for hard to clean areas between the slots and spokes of wheels. 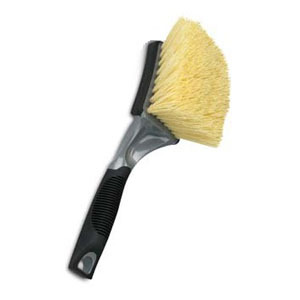 Also, use this brush to clean slot wheels, wire wheels, or any component that needs a narrow, flexible brush. 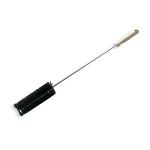 The internal wires are coated so they will not scratch wheel and can be bent in many shapes. 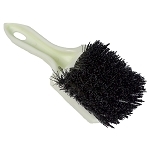 This Wheel and Tire Brush is the best brush to clean tires, wire wheels, wheel wells, and more. 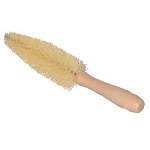 This brushes stiff polypropylene bristles provide extra scrubbing action and they are highly resistant to heat, acids, chemicals, and solvents. 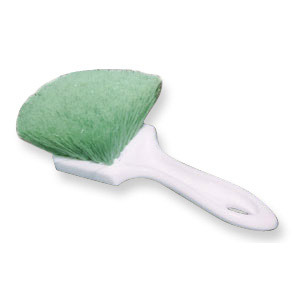 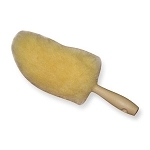 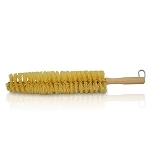 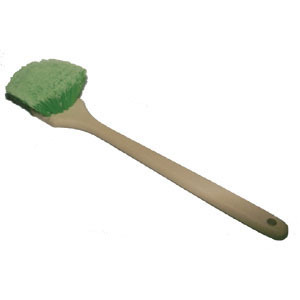 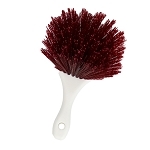 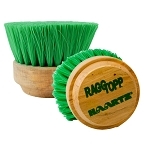 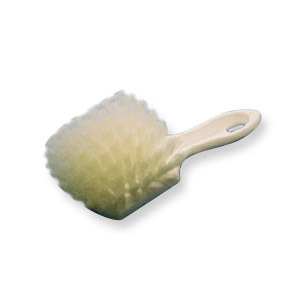 This Car Scrub Brush is an excellent all purpose gentle but very effective scrubbing brush for your vehicles interior. 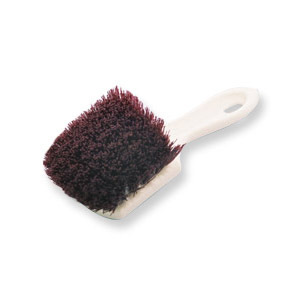 Use this brush for scrubbing off dirt and grime from, vinyl tonneau covers, cloth convertible roofs, interior door panels, leather and velour seats. 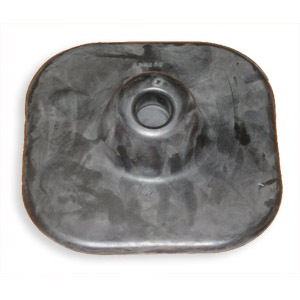 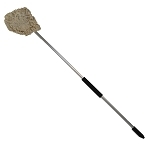 Medium Duty Grill, Wheel & Wheel Well Brush - 19.5"
This is a OEM soft rubber insert frame for the car wash mop heads. 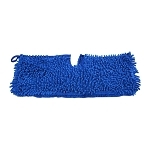 This is a OEM 100% cotton replacement bonnet with snaps, for the Detail King car wash mop. 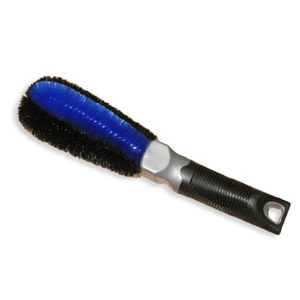 This Wheel Cleaning Brush Kit is exactly what professional auto detailers use to clean tires and wheels. 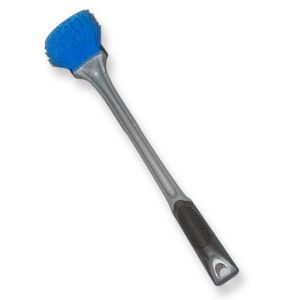 These 5 brushes will tackle just about any set of dirty wheels & tires, and leave you with pristine results. 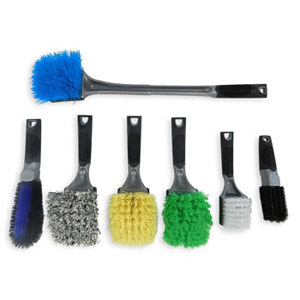 In this professional Wheel Cleaning Brush Set you receive 7 brushes, giving you the edge to clean all types of dirty wheels, wheel wells, tires, and more!